Australia Awards In-PNG Scholarships is holding a leadership workshop for its 11 partner tertiary institutions from around the country in Alotau this week. 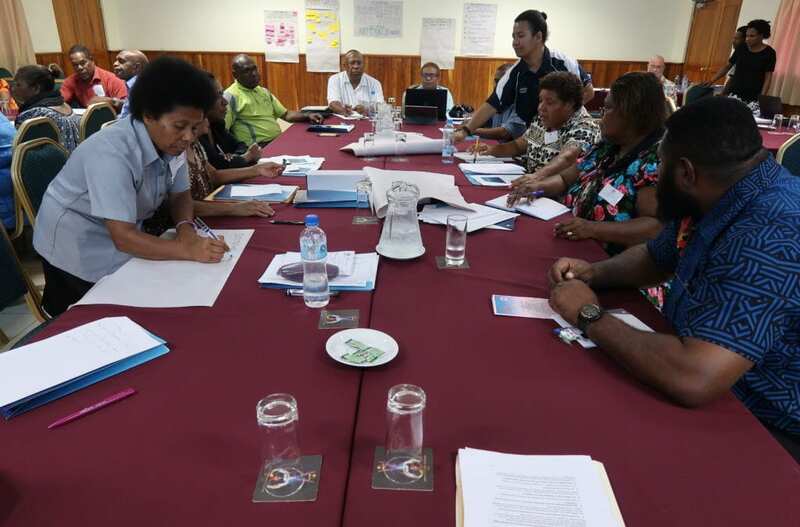 Representatives from the institutions discussed ways to ensure the 2019 awardees enjoy a smooth transition into their studies and contribute their skills to the health, education and transport sectors in Papua New Guinea. Australia Awards In-PNG Scholarships are a commitment to PNG, shared with local partner universities and colleges to address critical workforce gaps in the country. Topics discussed included new initiatives for a quality study experience for awardees, such as on-award support and enrichment, and approaches to effective institutional leadership. Representatives from relevant Government and professional agencies joined and shared their knowledge on sector developments. “For the past five years we have had over 450 graduates who have joined the midwifery profession as a result of Australia Awards scholarships,” explains Dr Nina Joseph, Registrar of the Papua New Guinea Nursing Council. Over 2,000 Papua New Guineans have graduated as community health workers, nurses, midwives and teachers with the support of Australia Awards since the scholarships began in 2012. Applications for Intake 2019 Australia Awards In-PNG Scholarships open 11 July.